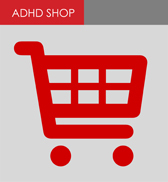 ADDults with ADHD has been operating for 20 years to provide support for adults with ADHD and their families. There have been 8 Presidents over the past 20 years and many other volunteers serving on the Committee of Management, in the office and at events. ADDults with ADHD is a wholly volunteer-run organisation. However, the quality and range of its services is high and the services comprehensive for the relatively small band of dedicated volunteers who have maintained its operation over the years. Our most recent president, Joy Toll OAM, has been part of the organisation since its inception, serving in several other roles as well including Vice-President, Secretary, Helpline Co-ordinator, Office Manager to name a few. And if you ring the office its still Joy who is most likely to answer the phone. The Annual Conference in September/October is also a well respected and highly anticipated event each year. Feedback from participants each year consistently commends it as a high quality conference full of useful and practical information and strategies for people dealing with ADHD. Participants have said that the ADHD Annual Conference is as good as or better than many other professional conferences they have attended. Being volunteer-run helps keep the price of the conference low and makes it more accessible to the wide range of members and the ADHD community. Feedback from the latest 2015 conference described it as the best programme ever. During the last 20 years ADDults with ADHD has provided key input to a number of significant community efforts to improve the lot of adults with ADHD. The timeline of posters that some of you perused at the recent ADHD Awareness Afternoon Special Celebration is being assembled into a publication that traces not only the history of ADDults with ADHD but also key events and issues related to ADHD in Australia over the last 20 years. Look out for it and our other new publications in 2016. During 2016 ADDults with ADHD will continue to be strong and active on many fronts. The current Committee of Management is active and brings together a valuable mix of relevant skills that will help the organisation continue to grow its service to its members and the community. ADDults with ADHD is also a strong supporter of the new ADHD Australia peak body and the emerging national organisation of ADHD professionals, two new vehicles which should add weight to advocacy, policy activities and an improved evidence-based understanding of the nature of ADHD and its impact on individuals and the Australian community as a whole.